Regardless of your age or physical health, it’s important to have regular eye exams. During a comprehensive eye exam, Dr. Davis & Dr. Turner will not only determine your prescription for eyeglasses or contact lenses, but they will also check your eyes for ocular diseases, assess how your eyes work together as a team, and evaluate your eyes as an indicator of your overall health. As optometric technology changes, it is even more important to select an eye doctor who has all the right optometry qualifications and follows the latest developments in eye care. Dr. Davis & Dr. Turner in Eden, NC, make it a policy to ensure that all staff members are up-to-date on the latest technology and techniques to make your visit as effective and comfortable as possible. Utilizing cutting edge technology they are able to diagnose and manage diseases inlcuding glaucoma, macular degeneration and cataracts. Earlier and more precise diagnosis means earlier treatment and better outcomes for our patients. Our full range of vision care services include eye examinations for children and adults, fitting of all types of contact lenses, and co-management of laser and cataract surgery. The visual system is a delicate and complex part of the human anatomy. All parts of the eye and many parts of the overall body affect your ability to see. In our comprehensive eye exam, the health of your eyes is evaluated from cornea to retina. 1. A series of tests designed to determine whether your eyes are healthy and free from disease. We complete a thorough check for certain diseases that manifest themselves in the eye. 2. A number of objective tests are conducted, enabling us to observe and measure your eyes without your active participation. These tests also enable us to accurately examine small children and toddlers. 3. Next, a number of subjective tests are conducted with your active participation. We will ask you a number of questions and expect you to answer them as well as you can. The visual system is a delicate and complicated part of the human anatomy. All parts of the eye and many parts of the body affect your ability to see correctly. In our comprehensive eye exam, the health of your eyes is fully evaluated. Just as you have a Primary Care doctor for you overall health, it’s important to have a Primary Optometrist. Your eye health goes beyond a simple vision test; primary eye care includes a comprehensive vision screening and eye health examination. 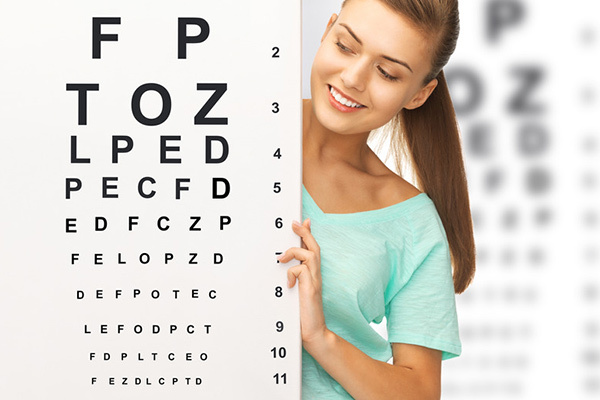 It is recommended that you have a comprehensive eye exam every one to two years. Family Eye Care caters to the individual needs of each patient with well trained staff members who provide personalized attention. We do much more than just check your vision and provide you with eyeglasses. We provide comprehensive eye care and full treatment and management of eye conditions in order to ensure internal and external eye health and correct vision. We find that our extensive use of technology and highly trained staff allows the doctors at Family Eye Care to spend more one-on-one time with our patients. Our full range of vision services includes eye exams for children and adults, contact lens fitting of all types, and co-management of laser and cataract surgery.